The Kentucky Cheerleading team has had quite the week as they are in Pyeongchang, South Korea representing USA Cheer as part of an international effort with the goal of incorporating cheerleading into the Summer Olympics one day. The team began their 10-day trip with a performance in front of the US Military base in Seoul at Winterfest 2018. They have had a variety of performances over the past week including one at the Speed Skating events, one at the Medal Plaza in snowy 27 degree weather, and their grand finale at the Closing Ceremony today. The team was chosen to represent the United States because of logistical reasons, many team members are apart of the USA cheer team anyways so it was easier to award UK with the honor rather than going through the complicated process of getting the USA team together. The team even got a little face time on the Today Show, too. Congratulations to the team for all they have accomplished and safe travels back home to the States! Apart is an adverb that means separate. 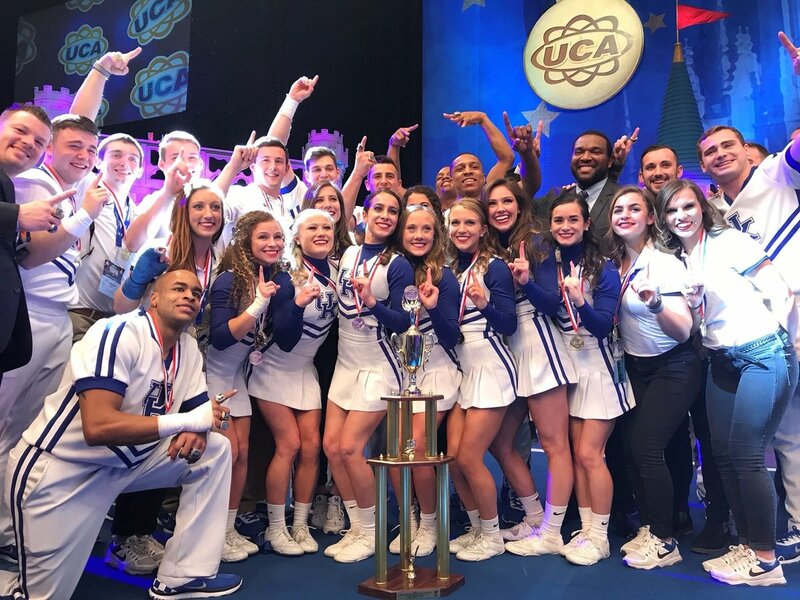 UK cheerleading team members are not separate from the USA team. ??? never gets laid ?? ?